Congratulations to those who just gotten engaged! Since you have well absorbed your new status of being engaged. No wonder that the only thought which you will be getting is of your big day. Question like ‘how to make the day more special?’ ‘How to plan ahead for the big day?’ ‘Which location to get wed-locked in?’ etc., will be hovering in your head all the time. And believe me all these questions are natural for every engaged couple. Wedding planning is not just few steps but a complete journey from your engagement to your wedding is over. Now! Thinking about all the stress of your wedding and hence want to hire a wedding planner? Is it? Well, let me tell you that wedding planners are just not hired in order to de-stress the couples. In fact, wedding planner’s role is much, much more than you think. Undeniably there will be several occasions wherein you will feel completely exhausted during our wedding planning journey. Hey, still don’t make your stress a reason for hiring a wedding planner. Because that is not the only thing a wedding planner do, that will be low-down to say so. However, they help de-stress couple massively, but still there is so much more than just that. Planning your wedding all by yourself can feel like a big deal, no matter what. The moment you and your partner decide to get wed-locked, the very moment stress starts to occupy you. Of course wedding is a major life decision. There will be n number of things which you will need to look after, there will be n number of decisions to make related to the wedding, and there will so many people to please to. We understand your concern about hiring a wedding planner, it is a big decision of course as it costs and sometimes it is pricey. Maybe not for all, but yeah certainly wedding planners are not at all hired solely to de-stress the couple from their wedding planning. Surely, wedding planning is an intense job. Hence, it’s no surprise that wedding planners are pricey. 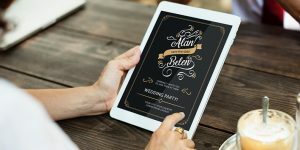 Albeit, the cost of a wedding planner can sometimes be pretty high, however, the pros of having a wedding planner can’t be ignored. 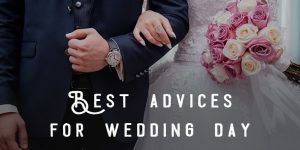 Besides, releasing the stress of wedding, you will have chance to have an expert to advise you and present new ideas, do more leg work, and arrange everything for you in your wedding, to make it the most successful one. Your stress should not be the reason for hiring a wedding planner because it is not so. Nothing in life comes without stress, every step you put ahead has a certain level of stress and hence saying that wedding planner would be able to de-stress you is not so correct at all. This is your wedding after all, you cannot leave it all to someone else and do nothing at all. It is practically not possible at all. You must be having some vision about your own wedding, your control over your wedding is very much required no matter how much you try to avoid stress. Stress is a part of it. Undoubtedly, stress isn’t the number one reason you hire a wedding planner, there are several other possible reasons to go for hiring a wedding planner. You and your spouse to-be will have some idea about the wedding, you guys may be confused for having a wedding planner but there is no problem in knowing why a wedding planner can be a good idea. 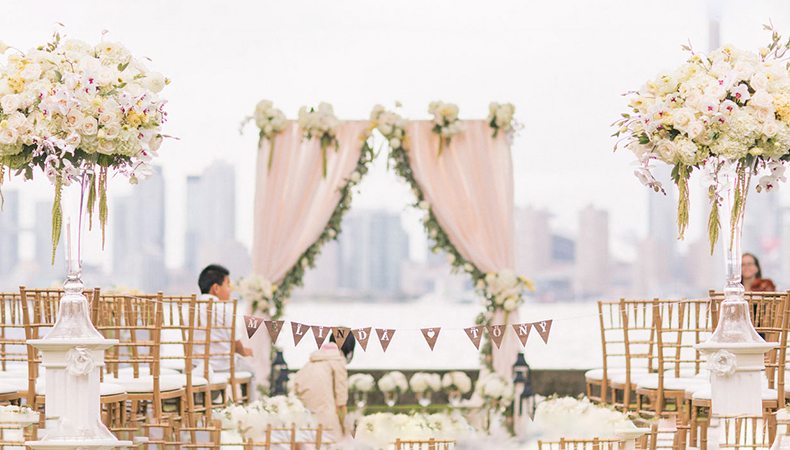 Check out the pros of having a wedding planner for your wedding this season! First thing first, wedding planners start with personal consultations or meetings wherein there main objective always is to understand the couple and their overall requirement to make it a memorable wedding for one and all. And experience which you will never forget. Wedding planner believes in two way conversation, they won’t be imposing things on you, neither will you feel like doing so while working with the wedding planner. Together you and your wedding planner can decide on things. Wedding planners are accustomed with the trends and other wedding concepts, they always know exactly how to execute them. They will always be ready to take your concept for your wedding and add on their creativity to it to make it happen –your wedding planner will spend time to know you and your tastes in order to get things right. It’s a two-way conversation hence there is always room for suggestions. Yeah, without any doubt wedding planners are experts, they have a knack for their work. It won’t be wrong if we call wedding planners masterminds of managing your wedding, managing timeline, handling communication, managing vendors, managing logistics, and so on and so forth. Wedding planners or professionals have a great understanding of detailed planning which in turn always makes for an effortless event. Wedding planners are intentional outright about everything they do – from vendor development to your wedding hall décor. They are not only incredibly organized but also very clued up on how to be more creative and add those creative touches and small details that add up to create the ‘wow’ factor on your final day. They are crammed with endlessly amazing ideas for everything from invitations to gifts, favors to savors, décor to flowers themes and so on and so forth. Yes, it is your wedding but your wedding planner will surely give it a shape which will help him to create moments for you which you will not be able to forget anytime in life. Even your guests will talk about your wedding after it gets over. It’s not about planning a wedding but it is to create moments for a wedding planner. You may be very organized and wedding planning may seem a lot of fun and easiest task to you, but believe you me, it is not, no matter how very much you think can. There are lot of things to take care and sometimes it becomes boring and mundane. Just imagine, you just thought to save some money a wedding planner and you missed to have all the fun with your spouse to-be, you get no time to even call your spouse to-be. Your wedding planner can help have you ease while he will take care of everything else and you can have fun with your partner. From managing a spreadsheets to following up with vendors, deciding on event flow to venue décor, with a wedding planner becomes easy task. It is up to you, you can enjoy the parts you like about the wedding preparations while leaving the hard parts to your wedding planner. Time from your engagement to your wedding is the most crucial time for both of you as you are going to step in the new life. If yours is an arranged marriage then it becomes important that you two spend time with each other to know each other well. This is the time which you will be there in your memories for lifetime, your courtship period is the most crucial period of your life. Do not just keep yourself engaged in your wedding related activities, spend time with your spouse to-be and let your wedding planner handle everything else. Trust your wedding planner, he/she is. There is already a lot to do for yourself before your wedding. Like, you need time to get in shape, to shop for the perfect wedding outfit for you wedding, pre-wedding photography and so on. Also, if you have an intense working hours wherein it is difficult for you to manage things for your wedding, but, when you hire a wedding planner, you’re at ease, absolutely free to focus on the things that really matters. In a wedding there are thousands of things to be taken care and no matter how organized you are, there is always a room for some mistake. Because, it is really hard to keep things aligned when you are planning your wedding all by yourself. Whereas, a wedding planner’s job is to keep things aligned, missing in no detail, making sure that your special day is special by all means. You don’t have to be a perfectionist on your wedding, let a professional lift the weight off your shoulders. Trust that a professional wedding planner has knack for it. Of course you will never want to have similar kind of wedding like your sister had a few years back. And coming up with a new idea on your own is a task, it’s not that easy. Weddings are no more same unlike old days when a wedding was full of rituals, food, guests, and photography, there is lot to do in a wedding now. 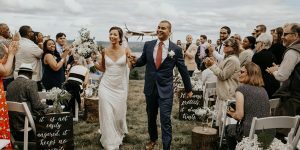 Couples are witnessing new trends, weddings are not just weddings now, in fact a complete package of fun, enjoyment, games, rituals, dance, food, fineries, etc. A professional knows both the latest trends and classic ideas for wedding inspiration. If you find yourself stuck on how to shape your vision, how to make it work for your special day. There is no harm to give a shot to a wedding planner. Weddings are pricey affairs undoubtedly, you would have also planned myriads of things for your own wedding. Like a specific décor for your wedding, or a particular venue for your wedding, there are so many such things to be taken care at your wedding and everything costs money. Every couple make a budget before a wedding planning journey starts, but somehow wedding goes beyond that budget. In fact, if you hire a wedding planner, they will save you money by keeping you in budget. They have the experience to make a perfect budget of a wedding based on what you are seeking on your wedding. You probably have no or very little idea of how much to spend but they have experience in managing things well, they know exactly where to put money to get things right. They know how to keep costs down without compromising on that meticulous finish. Getting discounts from vendors is no easy task if you are planning your wedding all by yourself. But if there is a professional involved it becomes easy to get you a vendor discounts. Because relationship matters a lot. Wedding planners and vendors work almost together, they share rapport. For a very simple reason, wedding planners are a repeat business for them, whereas you are not. Vendors knows the benefit of pleasing a wedding planner, surely they will get a repeat business from them. Most crucial task for any couple on their wedding planning journey is to follow a timeline. Timeline is very important aspect for your wedding. You should plan your wedding way before, having right amount of time for everything related to your wedding. You have to plan in a way that things doesn’t need to be rushed at the wedding. The timeline for your wedding is critical. You need to have the right amount of time for everything so no part of it feels too rushed or too slow. But, if you have a wedding planner, you can be confident as they know how to time things exactly right. Your vision and their help together can make your wedding a perfect wedding to cherish for your lifetime. They are doing this, they make sure that everything and everyone is clued in on the timeline. It is not an easy task for a couple to get good vendors while they plan and execute things on their own. But a wedding planner knows the inside out of the industry, they always have their favorite vendors who they know well and can rely upon. Whereas if you try to do things on your own, chances are your vendors can be a great problem for you if not all maybe a one or two can create problem at your wedding. In a wedding there are several legal contracts are associated, especially if yours is a destination wedding in a different country altogether. Your wedding planner can help you with all the legal contracts without you having any hassle for them. If you are planning a destination wedding in some other location, then surely arranging things at different location is comparatively task than arranging them in your hometown. No doubt that destination weddings are a wonderful experience all in all for one and all. To make your life easy in other land it is good to go for a wedding planner who has experience in making wedding arrangements globally and hence it would be easy for him/her to undertake your wedding also efficiently. Your wedding planner can make a huge difference in your destination wedding. Your wedding is a task, especially on the day of your wedding, when you will be busy in other stuff your wedding planner will be checking logistics, deliveries, making sure that everything goes as per the schedule. He/she will be the one triple checking all those important details – from making sure the floral is arranged, speakers and microphones are working, sitting arrangement is fine and so on. You can enjoy your wedding ritual without much trouble as you know there is someone professional who knows how to handle things efficiently. Wedding planners have experience in coordinating things properly, if you will try the same you may end up exhausted. For a wedding planner it is an easy task for you it can be tough to coordinate everything. Wedding planner just not help you through your wedding planning journey but also at the event, wherein he will keeping track of everything from venue to food, making you enjoy your day to the fullest, without thinking much about the preparation on the final day. Of course you also want the same for your wedding day. A calm bride and a cool groom can make a perfect couple and reflect the best in their wedding photographs. Not only they help in your wedding preparations but also they make sure that nothing important or any valuable things are left behind. They value you, and hence they do everything to make your wedding a special event for the lifetime that you will miss all your life. They are responsible people who make sure nothing of value is left behind, so you can enjoy your wedding and can walk out the door with no worries. If yours is a destination wedding and you are worried about the accommodation that is closer to home, your wedding planner can help you get the best place for accommodation along with the best deals, which will save you money. Wedding planners have experience and they are really great at negotiations. They are able to get best prices for the room. You don’t how many ways your wedding planner can help you at our wedding. Helping you in shaping your wedding vision your wedding planner can be a great help. You don’t have to worry about your taste and references as wedding planners are professionals and well versed with the trends. Your ideas can be easily worked by a wedding planners. You always have a say in your wedding as the wedding planners do not impose their choices on you, in fact they listen to yours. They are professionals and they know their industry inside out. They can get you any details whether large or small related to the wedding from a venue to perfect wedding dates, best location to best floral, best photographer to best hotel and so on. Wedding planner can make a difference all in all. If you are really looking forward to a perfect fairy-tale wedding then hiring a wedding planner can be a great decision. As, there are several things which you might not be aware but being from the industry itself, it becomes easy for a wedding planner to give best, to be more creative and give you a best experience of your wedding, which you might have dreamt of about your wedding. On the day of wedding, there are myriads of things to be taken care from your guests yelling for the ironing of his/her clothes to arranging hot water to the other, there will be n number of occasions where it will be difficult to take care. But your wedding planner is perfect in handling such petty tasks without you having trouble on the day of your wedding. Wedding planner can be a life savior for you if you are amongst those less organized people who doesn’t really care about managing things much. Going for a wedding planner will not only let you have a great wedding but also a great time with your spouse to-be. Yes they are! There are many contracts related to wedding one has to sign, wedding planners have read many such contracts as their job is such. However, it can tricky for you but your wedding planner can make sure that you only sign those which are good for you not just anything which come across. Hiring a wedding planner will not just reduce your stress but also help you have a great wedding experience which you will cherish all your life. Wedding planners are perfect for giving your wedding vision a reality.